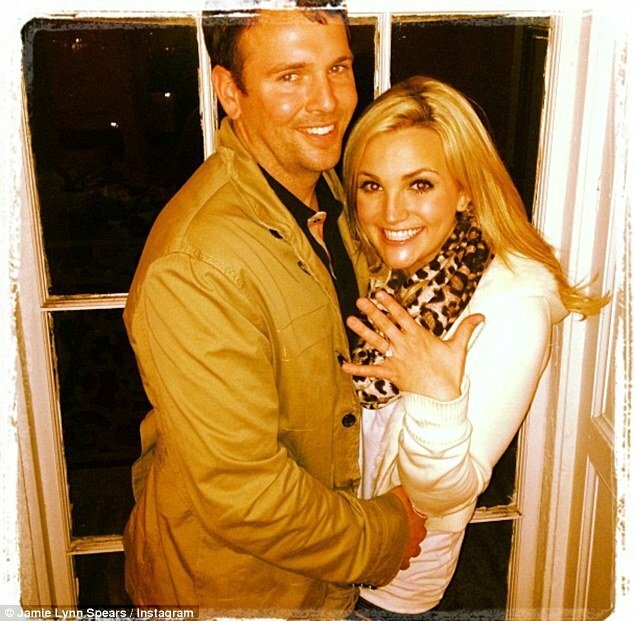 Jamie Lynn Spears and Jamie Watson have been dating for three years and now he has finally popped the big question. Jamie Lynn Spears, 21, revealed the happy news on Saturday via her Twitter account. She recently posted some snaps of her new fiancé and her 4-year-old daughter Maddie. Jamie Lynn Spears took time out of her career to focus on motherhood after falling pregnant as a teen. She split from her fiancé and Maddie’s dad Casey Aldridge in March, 2009, just nine months after their daughter was born. While shunning the spotlight all these years, Jamie Lynn Spears now feels she’s mature enough to take another crack at the music business. Jamie Lynn Spears moved to Nashville, Tennessee in 2011 to forge a new career and started performing on the country music circuit in America’s southern states. Her relationship news comes just two months after her older sister’s broken plans to walk down the aisle for the third time. Britney Spears, 31, has been married to friend Jason Alexander and dancer Kevin Federline, with whom she has two children. She was due to get hitched to Jason Trawick but they parted ways in January 2013.